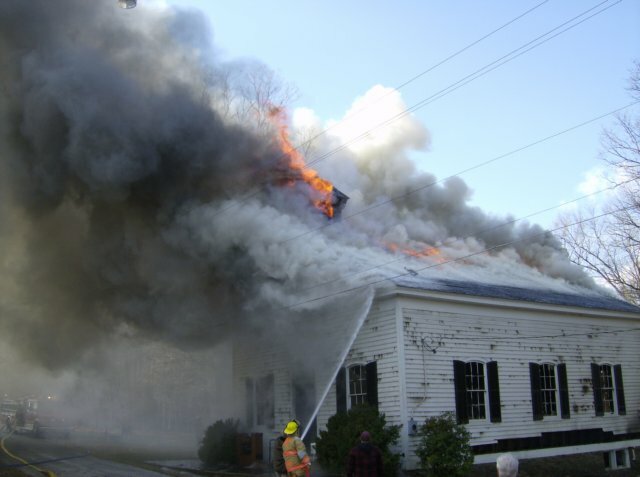 As the fire progressed, the entire roof began to burn. A firefighter attempts to battle the flames. The steeple, housing the church bell, can be seen on fire and falling.